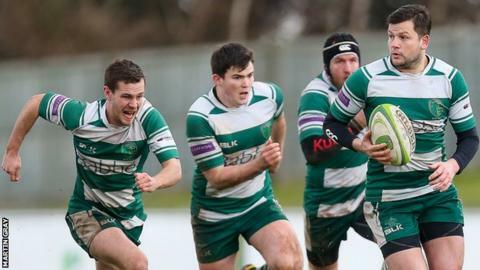 Guernsey Raiders held on for a 30-27 National Three London victory at home to Cambridge-based side Shelford. Tries from Tom Ceillam, Malcolm Barnes and Glen Walters helped the Channel Islanders open up a 24-0 lead in the first half at Footes Lane. However, Shelford fought back and went over twice in the closing minutes to get within three points of the hosts. The win means only points difference keeps Jordan Reynolds' side below fifth, the club's best ever finish.